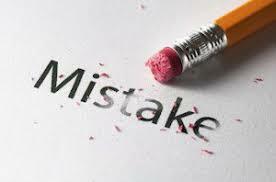 Under certain circumstances, a person may be eligible to have their criminal conviction or charge expunged. This opportunity is only available for qualifying crimes. Some crimes such as a DUI, violent offenses, and most felonies are not eligible. If you would like help filing a petition or would like more information on expungement, call CRJ today! 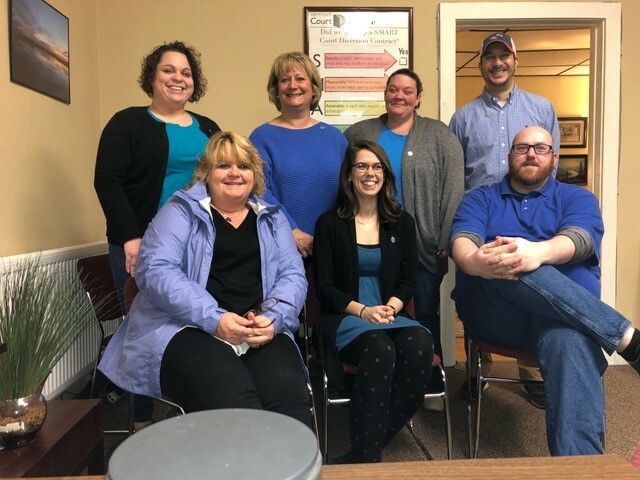 Center for Restorative Justice (CRJ) is excited to announce it has received an Opportunity Fund for Southshire Youth grant from the Vermont Community Foundation! 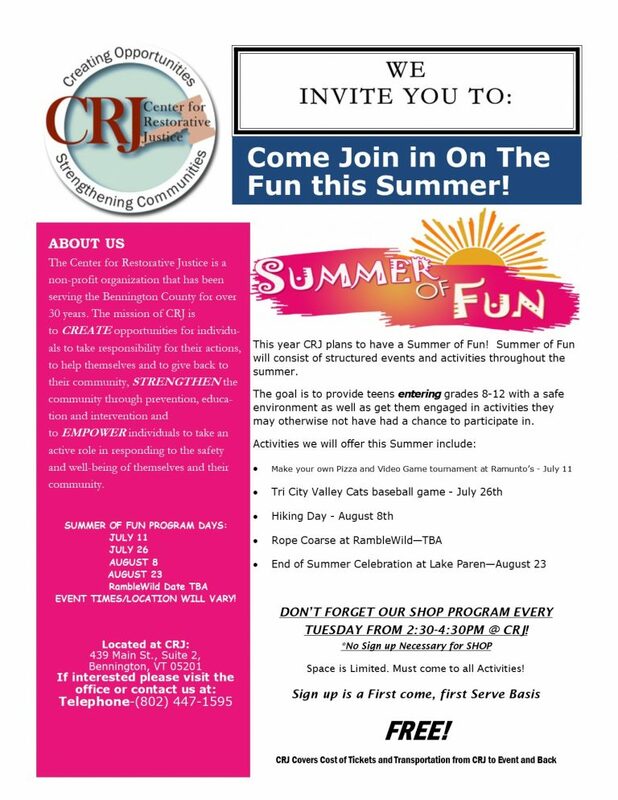 CRJ will use the funding to offer a week-long summer Youth Empowerment Program. The program will serve 10 at-risk youth with priority referrals coming from DCF & CRJ. The goal of the program is to provide at-risk youth in our community a week-long experience that will hopefully empower, encourage and inspire them onto positive life paths. 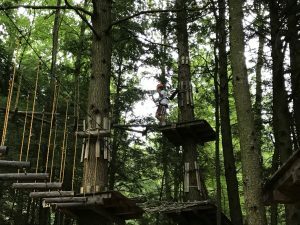 We are so excited to offer this program and are very grateful to have the support from the special funders supporting the Opportunity Fund for Southshire Youth grant program. Details about enrolling in the program and more information will be available this spring. 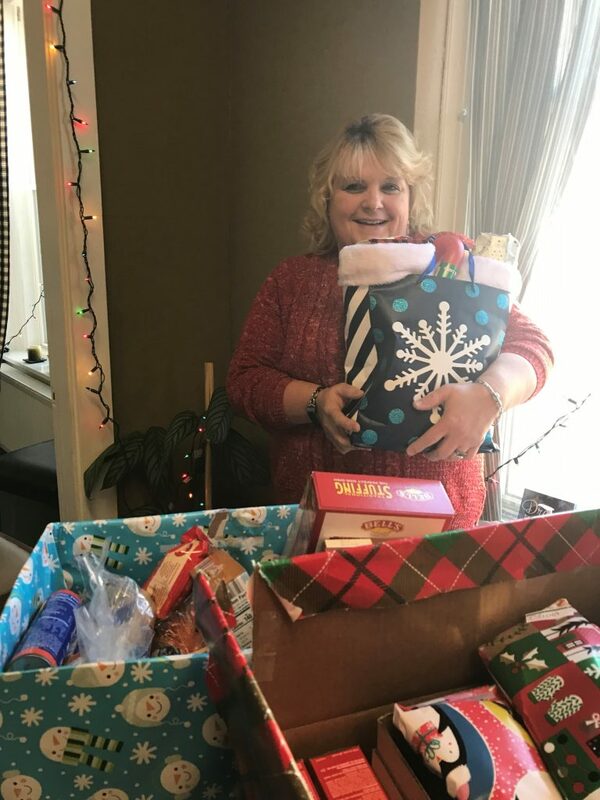 We want to give a special THANK YOU shout-out to our own, KIMBERLY PHILLIPS RODERIGUE for spearheading our annual Spread The Cheer holiday event! If you have met Kim, you know that she has the biggest heart of anyone you know, and she has worked incredibly hard to organize this event and make it happen. We certainly could not have done this event without her, she is just amazing! We are overwhelmed by the generosity of our Bennington Community!! Spearheaded by our very own, big-hearted staff members Kim Phillips and Mac Muniz, we have been working hard this week to finalize all our Holiday Hero Meal Boxes. 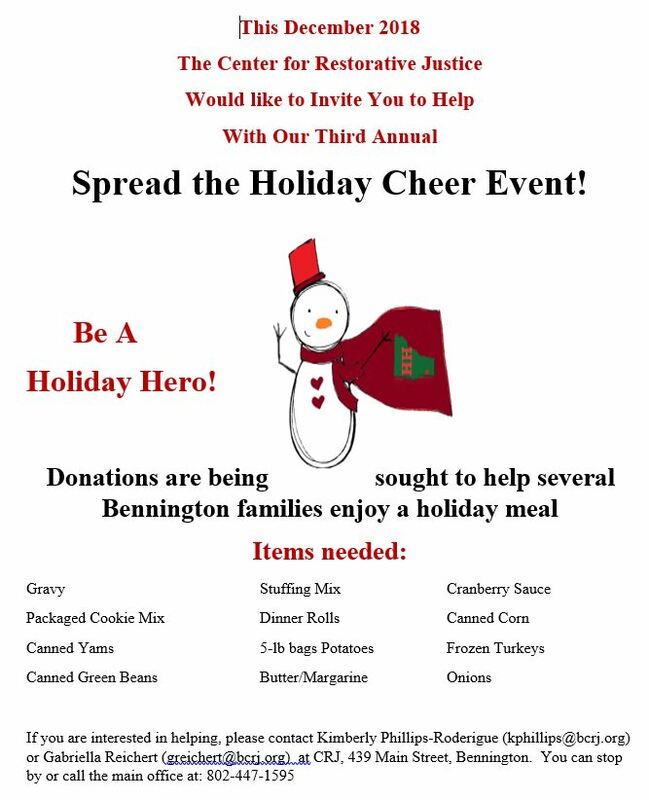 We have received enough donations to fill 21 holiday meal boxes and provide gifts for 5 children in the Bennington area! 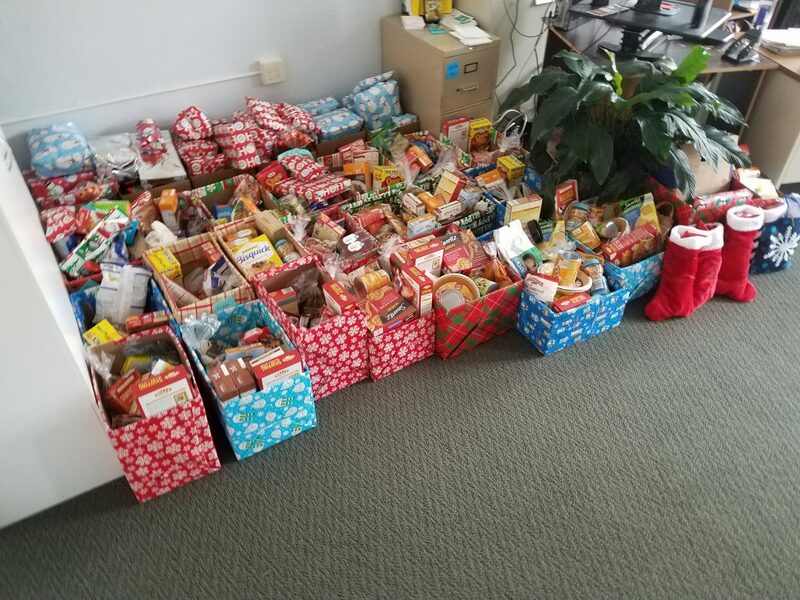 We want to thank everyone who donated to help us with our 3rd Annual Spread the Holiday Cheer event, especially Bennington County State’s Attorney Erica Marthage, the Bennington Criminal Court Clerks, Bennington Civil Court Clerks, Attorney William Wright, Bennington Price Chopper, Man of Kent – Johnny Bombard, Bennington Auto Mall, Ramuntos, Department for Children and Families (extra shout out to Kyle Hoover), Jason Redden, Larry Gauthier, Matt Willey, The Mears Family, Hollis Hill Inc, Matt and Elizabeth Perry, Bodywerks, Lorraine Sigsbury, J.A.R. Construction, Beaudoin Paving, Lauri Wright, Kristen Dunican, Darlene and Greg Lockwood, Kylee Lockwood Bubier, Mel Muniz & Mom, Hathaway Electric, Butch Godin, Darrin and Diana Jones, Betsy Tiene, and everyone else who has donated and helped make this event a huge success! 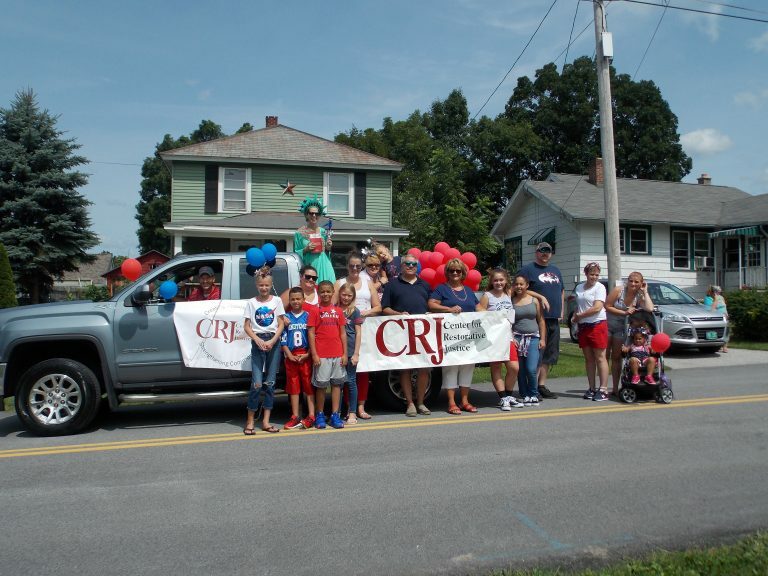 Thanks to all CRJ staff, family and friends for participating in the parade with CRJ. It was a great day and we look forward to doing this again next year!